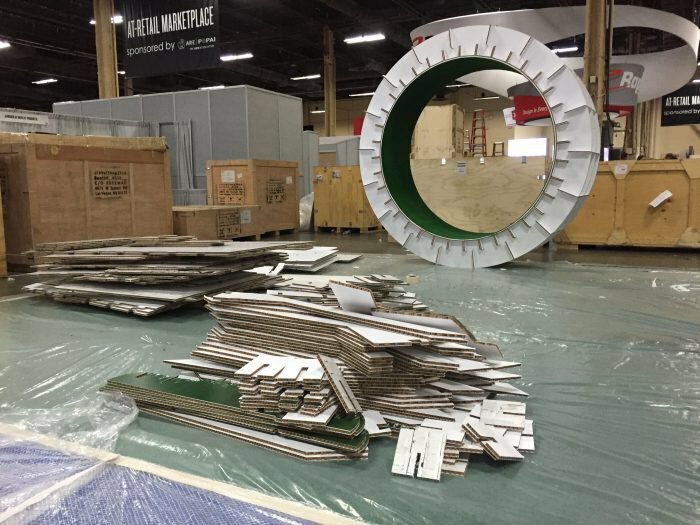 Recyclable substrates are going to be your new go-to when it comes to trade show booths. That’s because designing an awesome trade show booth is only half the battle. Constructing a booth that can live up to the challenge is a whole different story. There are lots of substrates that can do the job, but if you’re looking for something that’s sturdy, printable, and easy to construct, a Gilson booth made out of cardboard substrates like honeycomb core just might be your new best friend. Not sure if a recyclable booth is right for you? Here’s some more info about why booths constructed out of rigid honeycomb core substrates are a great way to make a stand-out booth that’s easy on the eyes and your freight bill! What is a honeycomb core substrate? There are many honeycomb core substrates on the market today, including Falconboard®, EagleCell®, and StingerBoard®. These products offer a strong, flat substrate that’s stable and gives you great performance with excellent printability. These substrates derive their name from the design of the inner layers—a honeycomb-like pattern! The natural cell structure adds durability and stability to its design. Also, its rigid structure makes it a great choice for trade show booths, which need to stand up to lots of wear and tear. One of the big benefits of using a paper-based honeycomb substrate is that it’s environmentally friendly. That’s because it’s made primarily from renewable forest resources and most are completely recyclable. So, you can feel good about creating a stand-out structure with a substrate that’s environmentally friendly. Plus, it’s much lighter and easier to ship, which cuts down on freight costs. Constructing a booth out of lightweight paperboard materials has its advantages. Using v-cuts to form corners and angles allows the boards to ship flat and be assembled on site. And it’s much lighter and easier to move than traditional aluminum frames. The structures stand up to use and can be cut and shaped into virtually anything you can imagine. The boards themselves are structurally engineered for mounting and the production of large 3D projects. Which makes it a premier choice for creating trade show booths, which are often big, heavy, and need to be taken apart and reassembled in multiple locations. These same substrates can also be used in other applications. 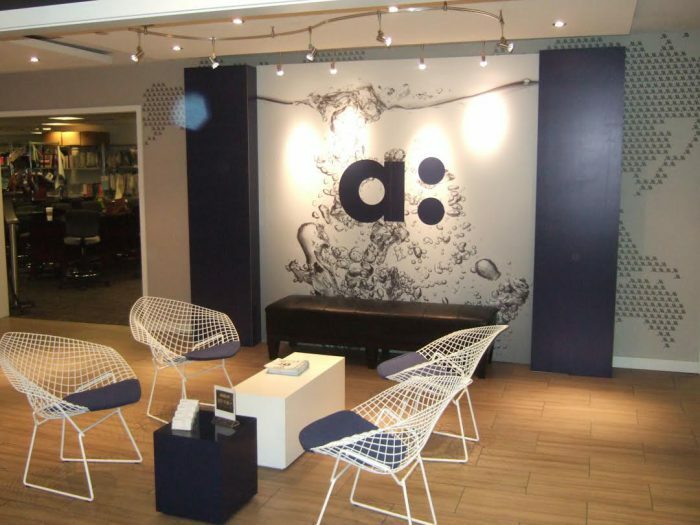 Some include interior signage, 3D displays, and point-of-purchase projects where print quality, rigidity, and lightweight design are important. Gilson booth being constructed from Honeycomb Core Substrate. Finished section of a Gilson booth with Honeycomb Core Substrate. 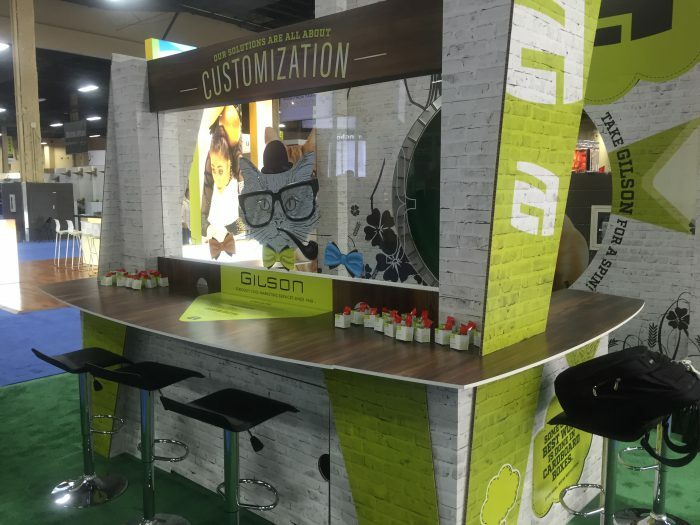 Don’t take our word for it, take a look at some of these examples of trade show booths that Gilson created for clients and our own personal trade shows! Made almost exclusively from honeycomb core substrates, our custom-designed displays are only limited by your imagination and ingenuity. 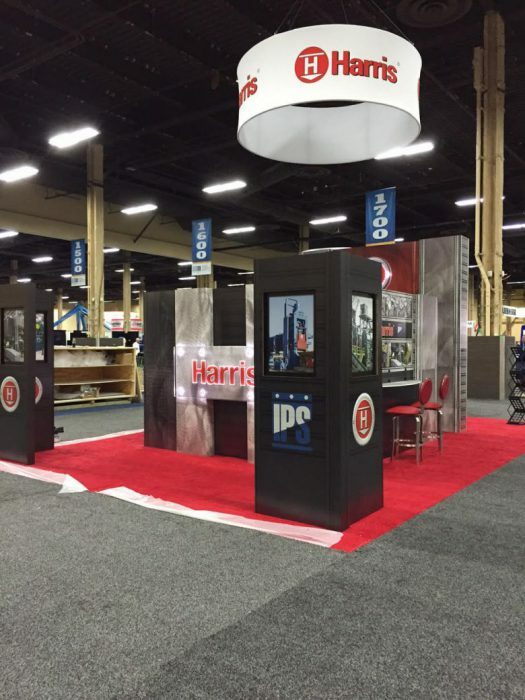 Don’t wait until the last minute to update your trade show booth. 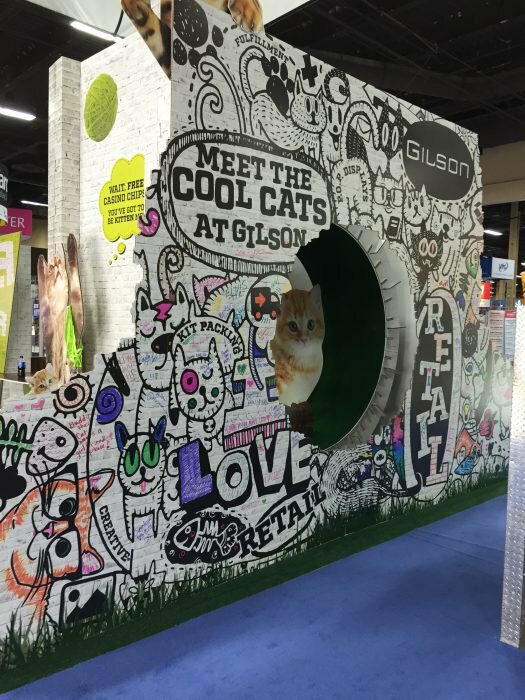 Get in touch with the Gilson team and we can help you design and print your next trade show booth or in-store display that will catch the eyes of clients, customers, and leads. Visit our contact page for more info or contact your Gilson representative.